Just a different type of Random Pic post. This one I will you two pictures and the general location of the area pictured, but you need to try to tell me where the pictures were taken in the comments below. Your hint is that it is somewhere Disney. I won't tell you anything more than it is a Disney related location and the pictures are less than 36 months old so these are not pictures taken 40 years ago or something like that. Can you tell me where? Good Luck! 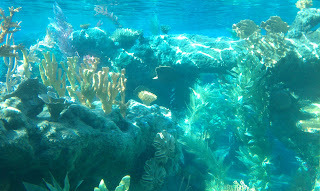 Labels: Disney, random, underwater, where is this? 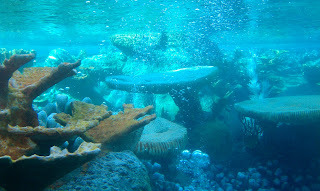 @Irishwoman Nope, not Typhoon Lagoon. But I may have to see about going to see that. You are pretty close with the second half. These are less than 3 years old. No worries though, I will reveal the answer on Monday 1-16-12.